Wendell is from Brazil and is 42 years old. He has been married to Jemima 18 years. They have one child, Francisco who is 8. Wendell is educator, theologian and coach. He has been working over 10 years on leadership development projects in the areas of management, strategic planning, human relations, and mentoring. 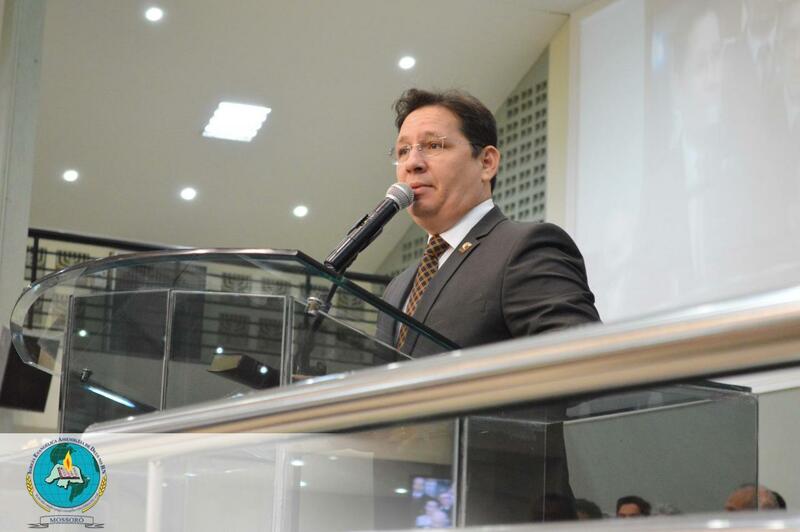 Wendell is also Pastor of the Assemblies of God in Brazil, Director of “Visão de Futuro” Institute and Director of “Libertadora” Radio station. Below a short interview with Pastor Wendell Miranda. We also share a few excerpts from his book “The Threat of Mediocrity.” (Used by permission from the Author). 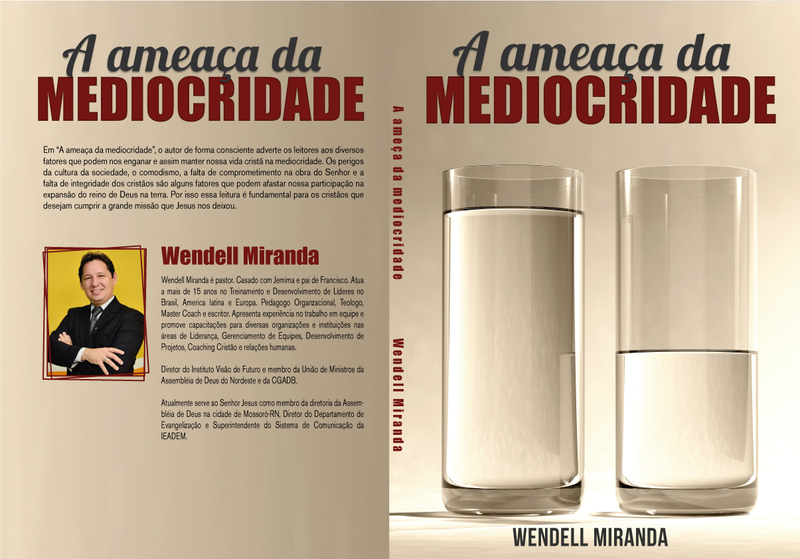 You launched recently your newest book named ”The threat of Mediocrity” (“A ameaça da mediocridade” –its original title in Portuguese) . Please, share with us what is it all about? What we try to communicate is that creating any project, without striving for excellence, it is harmful to organizations and to individuals. It is a real threat when we do something just for doing it, to do something in any way and to consider that as normal. That is what it means. and it means ”what is in between”, from the word ´medius,´ ”middle”. What motivated you to write a book like that and why? 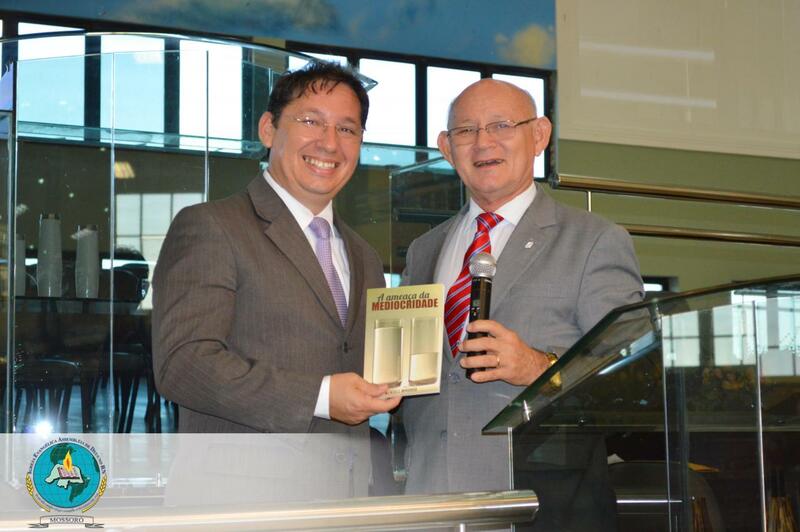 At the book launch – Pastor Francisco Miranda, father of Wendell. Also, I have been providing suport to some churches, in Brazil, as well as giving lectures and ministering to different audiences. I got bothered for listening and observing many people holding back to some activism, making their schedules and projects by using the ”automatic pilot.” Then, during a conference for leaders, I had the desire to share my vision of being alert and to combat mediocrity. We are living in a post-modern society, especially in Latin America. Other countries / continents are even living in post-post-post modernism. Don’t you think that one of the main features of this kind of society is ”mediocrity”? The fast food society tends to preserve the quantity in detriment of the volume’s quality, without paying attention at the content. I believe that it is possible to develop the binomial quality#quantity, when we reject the mediocrity and we commit ourselves to make our best. A society that values the disposable relationships, has a strong tendency to follow mediocrity and, then, to transform that in a feature. is what we appear to be instead of what we really are”. What do you propose in your book, as a measure of overcoming the mediocrity? What is your advice, especially for the young generation, in order not to get involved in mediocre acts? I speak a lot about dedication, commitment and integrity. These elements are essential vitamins to combat weakness generated from mediocrity. When you commit yourself, there is engagement, you offer your best. Every morning you must give yourself to your mission and your vocation and at the end of the day you must ask yourself: Did I really do my best? To conclude, you probably wrote some anecdotes in your book, as a way to illustrate that ”cancer” in our society. Please, share some of them with our readers? Yes! The strong appeal to the ”image worship”! This has generated many unpleasant and fragmented quarrels. This search reflects itself on a daily basis relationship. I can remember about different situations: The leader that was hurt because there was not the expected highlight on his name, on the outdoor advertising, citing his participation at the conference; or the individual that said he would do the task in anyway, because God can understand…Or that one that prepares his report falsifying information, because he understands that the end justifies the means.